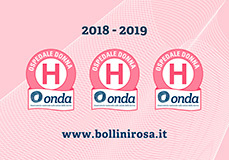 Auxologico is a Scientific Institute for Research, Hospitalization and Health Care (IRCCS) operating in Lombardy and Piedmont through 13 hospital, diagnostic and multi-specialty clinic facilities that work in synergy and close connection. Established in 1958, Auxologico has acquired recognized experience in biomedical research, highly specialized medical assistance, treatment and training thanks to the availability of cutting-edge technologies and instrumentation and highly professional medical teams. Since ever, the development of the person, from conception to old age, through all stages of a well balanced growth, lies at the core of the scientific and clinical interest of Auxologico. Auxologico’s areas of excellence include cerebro-cardiovascular, neurodegenerative, endocrine-metabolic, immunological, and aging-associated diseases. Much consideration is devoted to robot-assisted surgery, minimally invasive procedures, and genetic and molecular investigations.